Because pharmacies contain a large volume of high dollar inventory, all four pharmacy locations are equipped with a robust burglar alarm system. This system protects doors, windows, entryways, and the interior as well. However, due to the nature of the pharmaceutical business, there is an added layer of protection required to keep not only the premises secure but medications safe from theft. Understanding the vulnerability associated with owning and operating a multi-location pharmacy, we recognized that the Bandy family was a perfect candidate for our Business Remote Safe Services. This is an app that would allow them to control all of their stores from one phone. After we proposed Business Remote Safe to Bandy’s Pharmacies, they agreed, believing that by adding remote services they’d overcome various security obstacles. They didn’t know what employee was turning the alarm on and off. They didn’t know if an employee failed to arm or disarm the system. They didn’t know what time the stores were getting opened and closed each day. They didn’t have the ability to turn the alarm on from their phones. They didn’t have reminders to set their alarm once they left the premises. They didn’t have the peace of mind that comes with complete control. Once Business Remote Safe was installed, Bandy’s Pharmacies realized they could have peace of mind and ease of use in a comprehensive commercial security system. If the alarm was turned on or off by an employee they know exactly who it was. 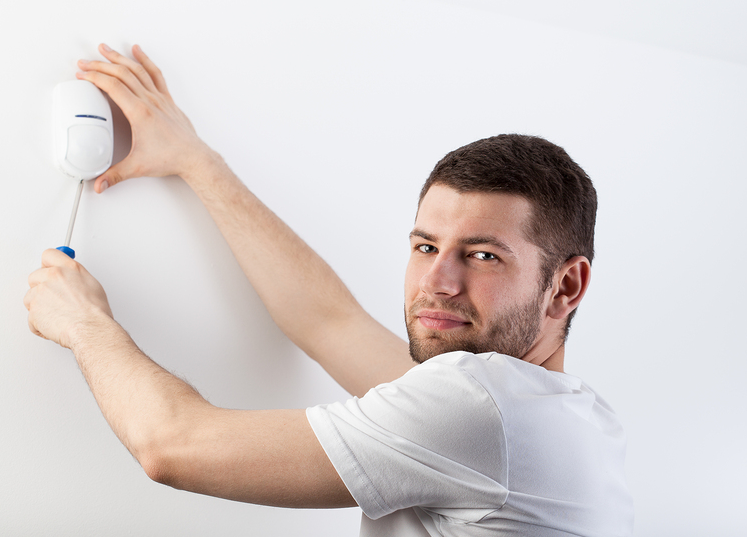 If the alarm was not armed or disarmed by a certain time, they receive a notification. If the alarm was armed or disarmed, they can see exactly what time this occurred. This holds employees accountable for opening and closing the store at the correct time. If an employee forgets to arm the system at night, all the owners or managers need to do is pull up that store on the app, and hit the “arm” button. No driving from out of town just to set the alarm. If they want, they can use their geofencing feature to remind them to arm their systems when they leave the premises. Geofencing sets an invisible “fence” around a property. Once the app detects their phone leaving that set area it will notify them that they have left without setting the alarm. If something security related is going on at any store, or even at their personal home, the Bandys are aware. The Remote Safe App keeps them in control and informed. It gives them peace of mind at night knowing that all their locations are locked up and secured. Bandy’s Pharmacies has been pleased with the product and how it works, but they also have expressed great satisfaction with our sales team, installation techs and the ongoing service they continue to receive. Security Alarm is thankful for the opportunity to serve Bandy’s Pharmacies and countless other local businesses across Southern Illinois.